From digestion to stroke risk, unchecked stress can make us really sick. We all experience stress—it’s a hard-wired response that can be advantageous in the short term when we’re working to deadline or having a particularly busy day. In the long term, stress has negative effects on both the mind and body. In this video from Ted Ed, written by Emory University professor Sharon Horesh Bergquist, we can take a look at what happens in the body during episodes of chronic stress. The brain communicates stress to the enteric nervous system (ENS), a complex system of nerves found in the lining of the gut—the ENS is sometimes called the “second brain.” This brain-gut connection can disturb how food moves through the gut, increasing sensitivity to acid (hello, heartburn). Stress can potentially cause digestive problems by changing the composition and function of your gut bacteria. A little too much to digest? Bergquist suggests the best way to curb stress is to find a different way to respond to it—not as a threat, but as “challenges you can control and master.” And what better way to do that than through meditation? 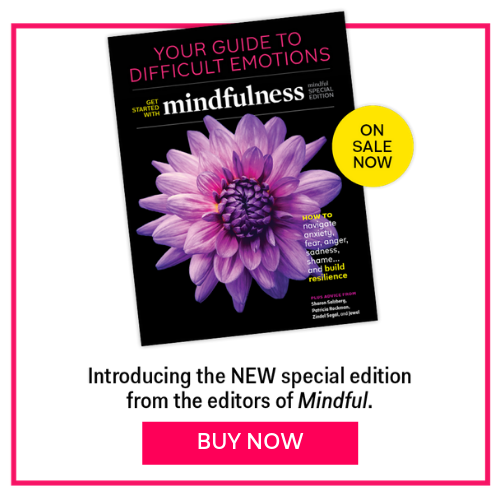 If you don’t have five or ten minutes right now to meditate, you might want to check out “Stress is Optional“—psychologists Stefanie and Elisha Goldstein suggest 11 ways you can interrupt the cycle of stress using mindfulness.